If you’re coordinating a group event that requires transportation for the group, you’ll probably instantly think of the option of renting a bus to take your group where you need to go. Whether you’re planning a field trip for schoolchildren or a business outing to reward your sales team for hitting an elusive milestone, a charter bus can be a great way to go. It saves you from the hassle of having to coordinate the actual driving part, and it frees you up to take care of the other aspects of coordinating your event to make it a success. 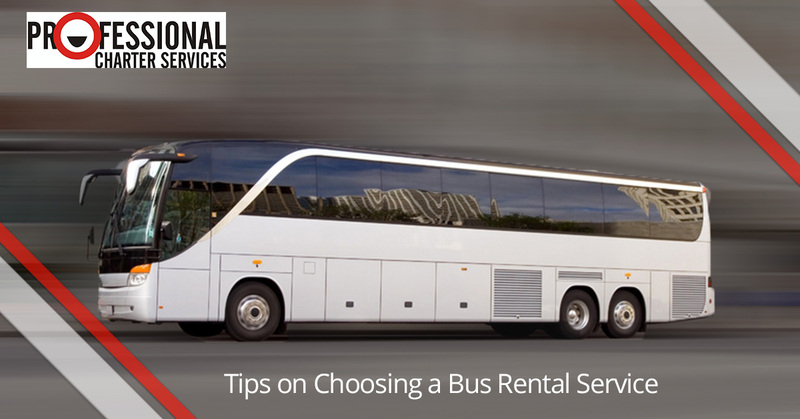 However, if it’s your first time renting a charter bus, or if it has been a while, you might want some guidance on how to identify a great bus rental service and make sure that this part of your planning goes smoothly. Here are some tips from our bus rental service in San Francisco. 1. When you talk to a person at the bus rental service, see if they match your needs to an appropriate option. Rather than starting off your call with “I’d like a quote for your 28-passenger bus for June 30,” try starting off with your needs instead and see what they suggest. For instance, say, “I have an event on June 30 where I’m going to need to shuttle 25 people from point A to point B.” Their answer can give you a lot of insight into whether they’re trying to match your needs to the right vehicle or if they’re just trying to upsell you. A great transportation service will assess your needs and potentially guide you to an even better fit than the one you had thought of. It’s this kind of service that goes above and beyond that will earn them loyal customers who will use their service again and again. Think about it: Is it a better idea for your bus rental service to fool you into paying more one time, or to get the lifetime value of a loyal customer? 2. Get a quote from more than one place. While many of the bus rental services in the San Francisco area are going to have comparable, competitive prices, you will feel better informed when you have several quotes at your disposal. By doing your research, you can sometimes stumble upon a great deal! 3. Ask about the cancellation policy. It’s important to have expectations communicated clearly upfront for the policies regarding cancellation. Of course, it’s not that you intend or want to have to cancel an event. After all, planning the event in the first place required you to pour a lot of time and energy into getting everything set up. However, having a clear idea of the way you’ll expect your reservation to be handled in the case of cancellation will help you to know how to navigate that scenario. You can ask the bus rental service what happens if they cancel on you. This is extremely rare to happen at any transportation company, as the reliability of their service is of the utmost importance to them, but they should be able to clearly articulate to you their policy in case something like that should happen. 4. Check out their reviews. It’s always a good idea to check out the testimonials for any vendor you’re looking to do business with. If you’d like to see our reviews, check out our testimonials page. Choose Professional Charter Services for your next bus rental! We are a company with 10 years of experience in the San Francisco area, and we look forward to serving you. Get your quote today.